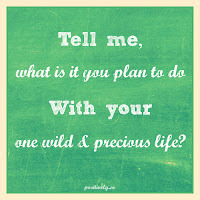 In her poem entitled “Summer Day,” Mary Oliver asks, “What is it you plan to do with your one wild and precious life?” I love the power, audacity, and truth of that question, but her use of the word “plan” makes me chuckle. I’m a planner by nature. Nearing the end of college, I had a few different plans that I thought were pretty good. Then, I felt this nudge to become a volunteer with a program called Rostro de Cristo. I never could have known then what responding to that nudge would do to my trajectory. As we open ourselves to the unique and precious dreams the God has for us, the plans we had for the future often become a thing of the past. 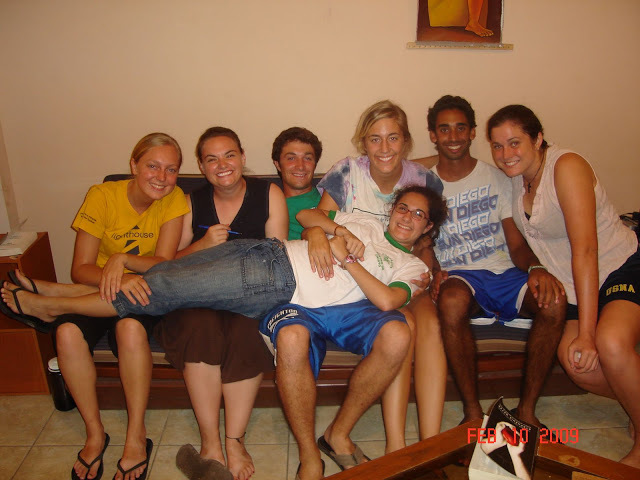 Among the many life-altering things I found in Ecuador, I stumbled upon a vocational discernment journey that I never wanted but that has come to shape my entire life. It was on our initial Rostro de Cristo volunteer retreat in November of 2008 that the idea of becoming a Catholic Sister first popped into my head. When it did, I thought I must be dreaming. Despite my protests to God, a sense of call to the religious life somehow persisted and began to grow. I talked with my house community of six about this alarming new development one night over dinner, and so began the road that leads to today. Our sacred shared experience of God in that community compelled me to keep pressing into the question raised by Mary Oliver, even when it was scary. 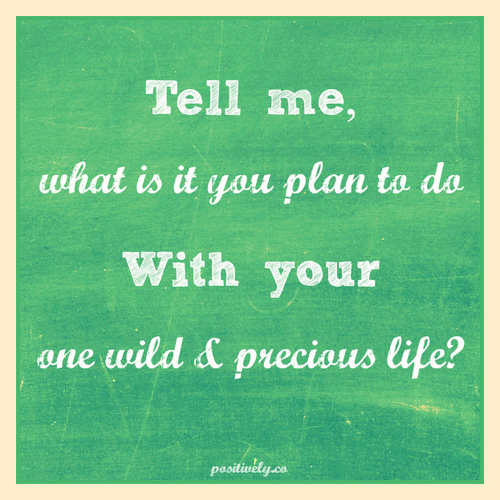 Who has God created me to be in this one precious life? Images of Ecuador flood my mind as I think back through my discernment process. I remember hysterically emailing my mom and a few trusted friends about the crazy thoughts I was having from the teacher’s lounge at Nuevo Mundo, a school where I taught English to underprivileged children. A few months later, I went to talk with Pat McTeague, the founder of Nuevo Mundo and a former Sister. We sat on her couch as she calmed some of my anxiety in her wise and direct way, inviting me to take things slowly and “date” the idea of being a nun. During my second year in Ecuador, which was something else I hadn’t originally planned for, I was watching the sunset over Playas Beach from a hammock as I resolved to find a spiritual director. Sr. Macarena, an IBVM from Spain and specialist in spiritual direction, moved in down the street that same week. Her gentle support helped my fears to melt away. And then, of course, there were the thousands of conversations with community mates and Ecuadorian neighbors that drew me deeper into the heart of God and made abandoning this journey impossible. Although I did not know it while it was happening, my experience as a volunteer is what showed me that becoming a Sister could be plausible and even wonderful. I saw how a life of service, shared in a God-centered community, is fulfilling, impactful, and worth it. I tasted the joy and strength that comes from living a shared mission. I felt at home far from home and alive in a culture not my own. I saw how relationships with those affected by poverty show us who Christ is and hold us accountable to the truths of our faith. I saw how desperately our world needs us to be God’s hands and feet. 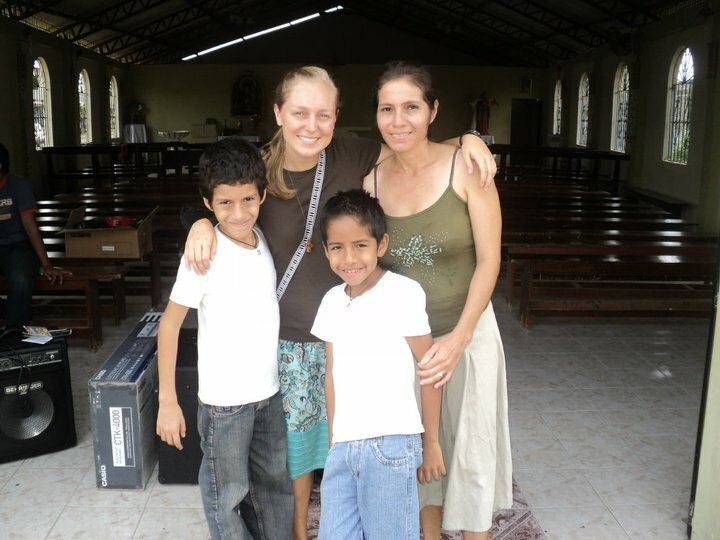 I realized that I wanted to live the pillars of Rostro de Cristo – spirituality, simplicity, service, hospitality, and community – way beyond Ecuador. But I did NOT want to be a Sister. I can’t tell you how many times people told me along the way, “If you’re called to this, you’ll be ready when the time is right.” Four years later, I finally believe them. Treasured friends from our dear Rostro family are those that guided me to respond to this God-given call. It has not been an easy decision, but I feel a lingering joy at the thought of giving my entire life to the cause of Jesus’ Kingdom. 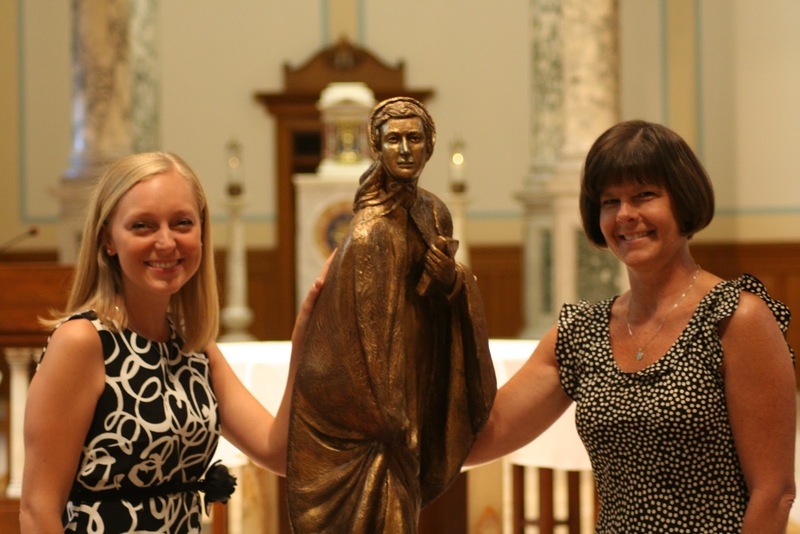 In June, I made my commitment as an Affiliate (postulant) with the Sisters of Charity of Cincinnati. Next summer, I will move to the Motherhouse in my hometown, Cincinnati, to begin novitiate. A sense of excitement and peace grows as I see ever more clearly what a gift it will be to live this vocation. At a time of turmoil in our Church, the call to be a voice of extreme love, faith and justice echoes in my soul. Gratitude overflows in my heart for all that my volunteer experience has been and will be to my life, especially for scrapped plans that made room for God’s wild dreams to take root.